Christian Siriano F/W 2018. Photo by Eli Schmidt. As New York Fashion Week draws to a close, we’ve taken stock of designers’ fall 2018 offerings and rounded up the season’s highlights, from Chromat‘s celebration of diversity to Prabal Gurung‘s ode to powerful women. 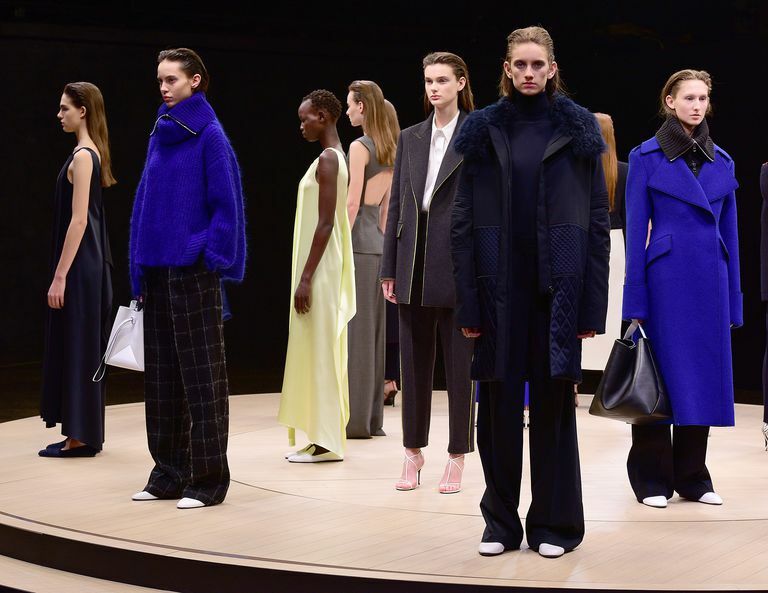 Read on for our lowdown from the front row! Chromat F/W 2018. Photos by Vogue. Thankfully, Fashion Week was not completely devoid of body diversity. Though “plus-size” catwalkers are scarce, Becca McCharen-Tran of Chromat managed to put on a show that highlighted a refreshing range of women: models other designers might consider too big for their clothes were met with loud whoops as they strutted down the runway clad in Chromat’s signature neon swimwear; a model rocked her prosthetic leg in a body-hugging scuba dress; breast cancer survivor Ericka Hart proudly revealed her double mastectomy scars at the end of the runway. Christian Siriano F/W 2018. Photos by Vogue. Christian Siriano also celebrated curves at his spectacular 10th anniversary celebration. 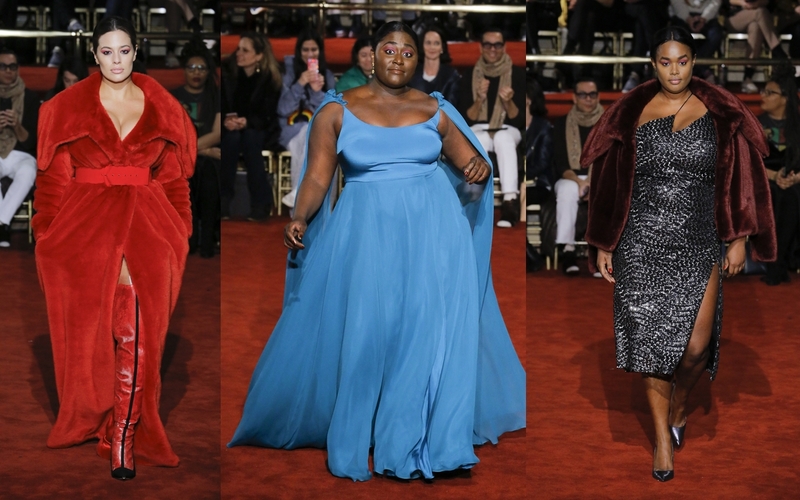 Ashley Graham opened the show in a scarlet floor-length fur coat and actress Danielle Brooks elicited applause in a flowing turquoise gown. The diversity present at Siriano’s show felt genuine (rather than a convenient marketing gimmick), especially considering his ongoing commitment to dressing celebrities—such as Leslie Jones—that other designers have refused to work with. Naeem Khan F/W 2018. Photos courtesy of Naeem Khan. “Reflecting on these times, I am reminded of the women in my family who were always held in the highest esteem. 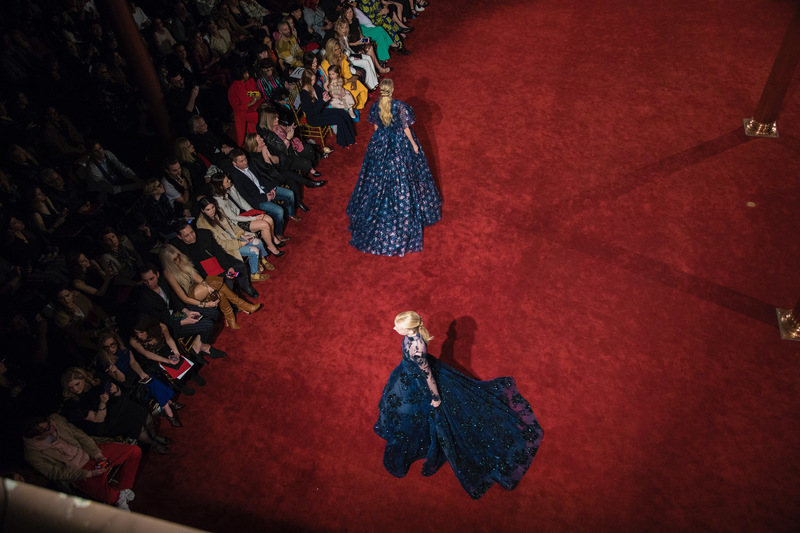 Strong, independent, motivated, and beautiful inside and out,” Naeem Khan‘s show notes read. Khan’s collection certainly made a pertinently political statement with a closing look adorned with a sequined Statue of Liberty, a stylish nod to the indispensable contributions women make to society. Prabal Gurung F/W 2018. Photos by Vogue. Unfortunately, our country’s current administration has normalized gendered violence with its opposition to reproductive rights, not to mention the numerous sexual assault allegations against our very own president. 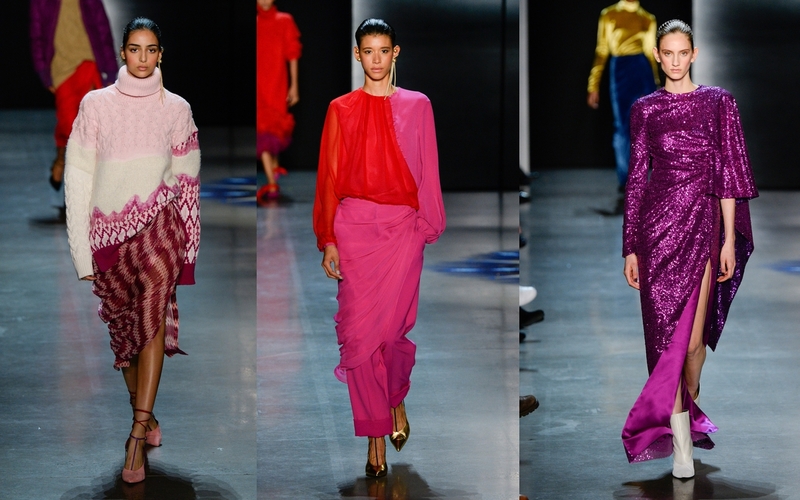 Perhaps our government should take take note from Prabal Gurung, another designer who celebrated the strength of women with his Fall 2018 collection inspired by the matriarchal Mosuo tribe of China and the activist Gulabi Gang of India. The collection’s preponderance of pink drew from the Gulabi Gang’s vigilante-style fight against violence against women: “they adorn themselves in pink saris symbolic of their self-proclaimed power and fearlessness,” Gurung said backstage. 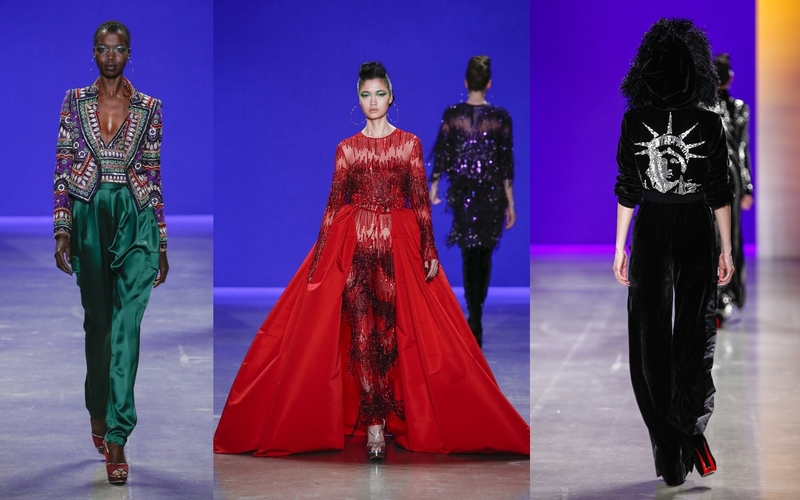 Instead of the traditional runway show, Telfar hosted a concert. 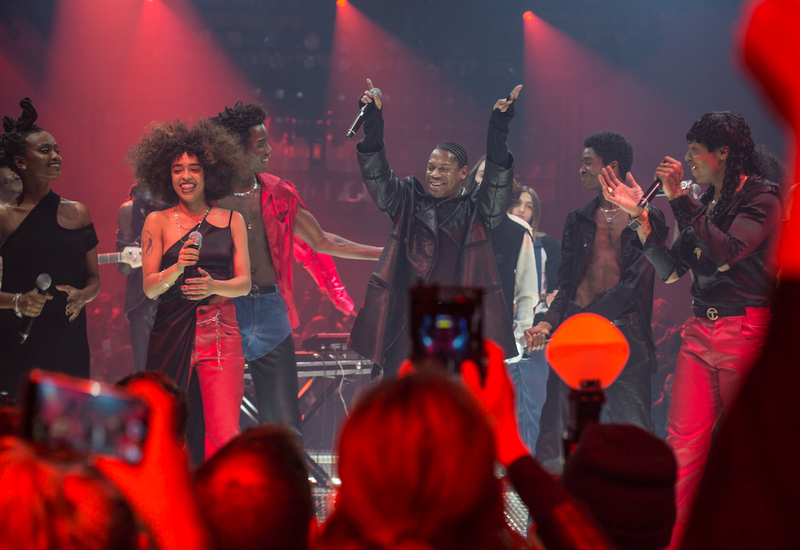 The brand’s mastermind, Telfar Clemens, made his musical debut alongside Dev Hynes, Ian Isiah, Kelela, Oyinda, 070 Shake and Kelsey Lu, all wearing his new designs. The group performed an Ian Isiah-adapted rendition of “Grateful” by Hezekiah Walker to a cheering crowd of street style stars, neo club kids and it-girls. 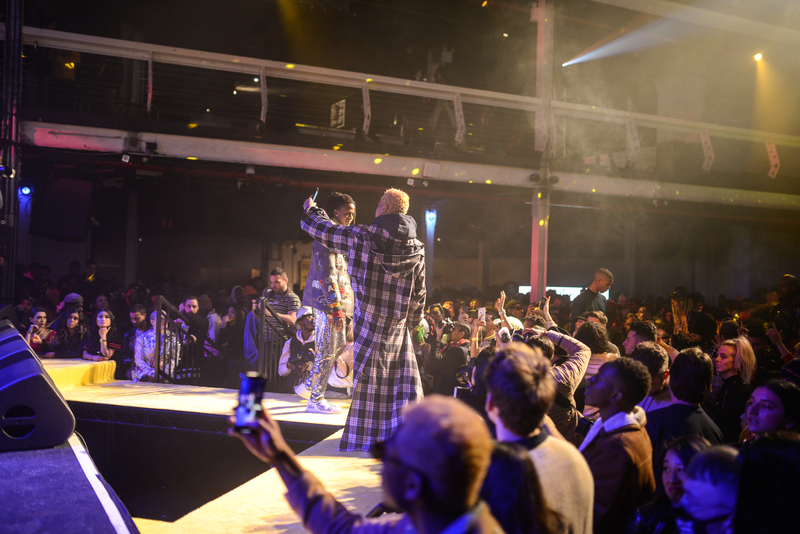 In a similar vein, VFiles threw a party in lieu of a runway show. The night kicked off with performances by rappers K Rizz, Blakie, Bali Baby, Comethazine and Tracy. A live photo shoot followed—stylist Anna Trevelyan put together looks comprised of pieces by past VFiles runway winners including Feng Chen Wang, Namilia, Sanchez-Kane and Kim Shui. Performances at Philipp Plein. Photo by Edddie Lee/Hypebeast. 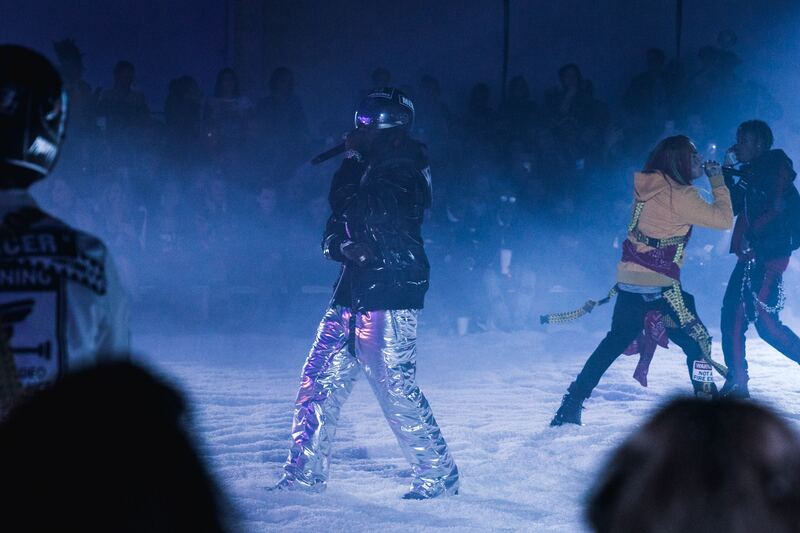 Philipp Plein put on a predictably over-the-top runway show that featured performances by Migos and Rich The Kid. Musicians, or at least their children, played model, too: the runway lineup included Christian Combs (son of Diddy) and Cordell Broadus (son of Snoop Dogg). Confusingly, Plein also hired rapper 6ix9ine to perform alongside Migos and Rich The Kid—6ix9ine, whose real name is Daniel Hernandez, plead guilty in 2015 to the use of a 13-year-old in a sexual performance and still faces one to three years in prison. Considering the increasing public exposure and condemnation of sexual misconduct in entertainment and fashion, it’s unsettling that Plein would deem it acceptable to hire 6ix9ine. Carolina Herrera and Wes Gordon. Photo by Getty Images. With fashion’s mass exodus from New York and numerous design house shakeups, this year’s New York Fashion Week was one of many lasts. 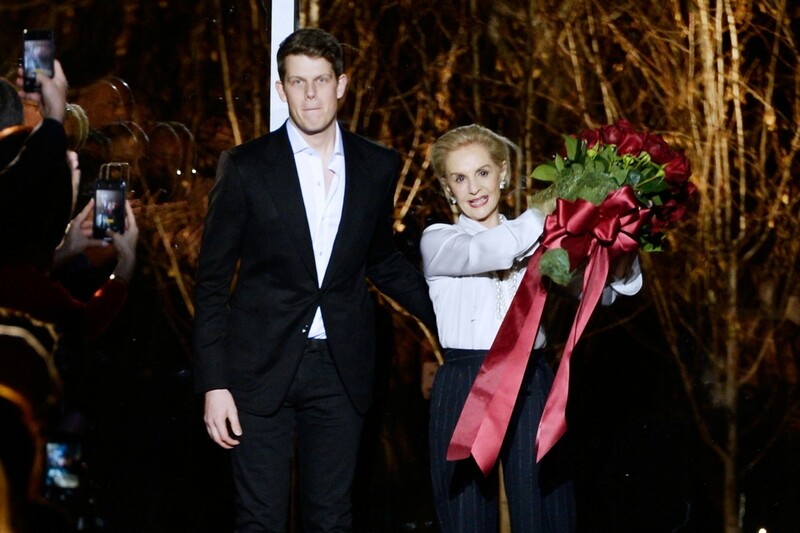 Carolina Herrera took her final bow, accompanied by Wes Gordon, who will be taking over the label. Hugo Boss F/W ’18. Photo by Getty Images. The news of Alexander Wang‘s departure from the traditional New York Fashion Week schedule generated much buzz in the industry. But rather than moving to Paris like many designers, Wang will remain in New York and unveil his new collections in June and December during pre-collection season. In line with this change, the label will combine its main collections and pre-collections into one, breaking out of the conventional fashion calendar. Wang went full circle and showed his last official NYFW collection at the Condé Nast building, where he got his start as an intern for Teen Vogue and Vogue.